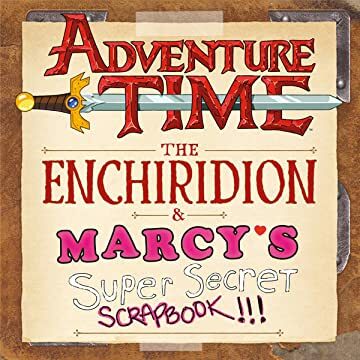 Dive deeper into the secrets of Adventure Time with this mysterious mash-up of The Enchiridion (the ancient book for heroes, as featured in several key episodes of the series) and Marceline the Vampire Queen's childhood diary. It's like having two books in one . . . because it is two books in one! All-new, gorgeous, hilarious, and grotesque illustrations? Ancient wizard lore, spells, curses, and jokes? Scribbles from and souvenirs of a cute demon girl growing up? Goofball commentary by Finn, Jake, Marceline, and the Ice King? Check, check, check, check please! 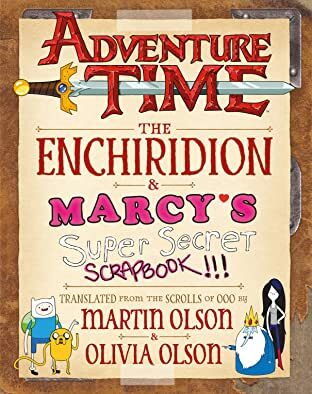 From the same creative team behind the New York Times bestselling Adventure Time Encyclopaedia, this in-world compendium of all things Oooian is a humor-, paradox-, and literary contrivance-filled tome true to the imagination, innovation, and heart of Adventure Time. It's the perfect gift for any fan of the series.